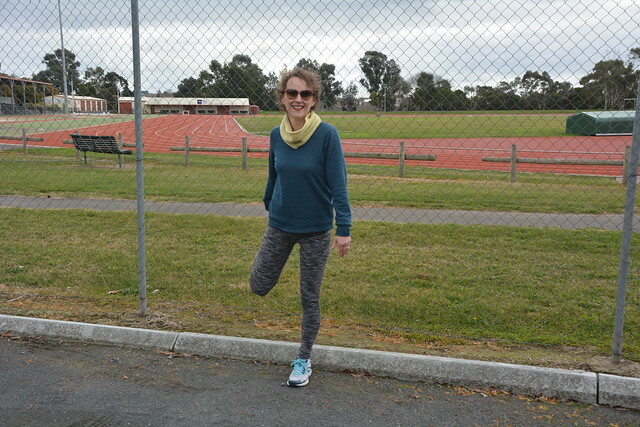 You know that time that you sewed a pair of Megan Nielsen’s Virginia Leggings to wear to yoga, but you thought that a photo shoot at an athletics track with you having a stretch and a jog would be a bit of fun? 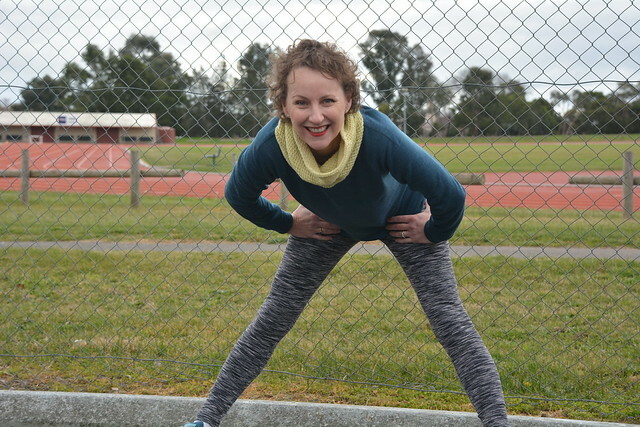 Yes, that time when you hadn’t factored in that the athletics track would be all locked up! 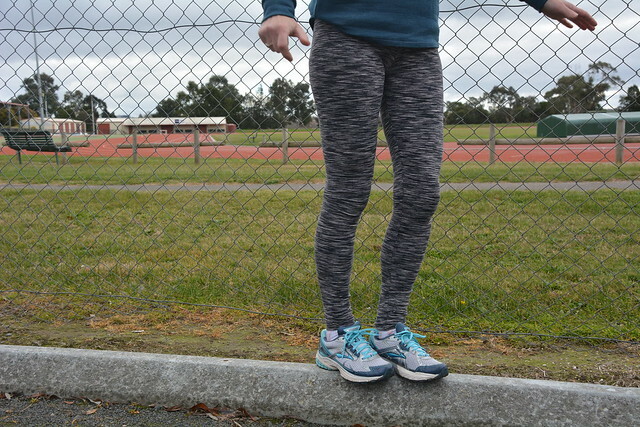 So, you gave your new leggings a test run (pardon the pun) in the athletics track car park. Megan Nielsen’s Virginia Leggings include two different rises (natural waist and low rise/maternity) and two leg lengths (petite and long). I sewed the version one, which sits at the natural waist, and as I like a little bunching at the ankles, I added 2 inches (5cm) to the petite cutting line. This is the third time I’ve sewn these leggings and it’s a definitely TNT pattern for me. 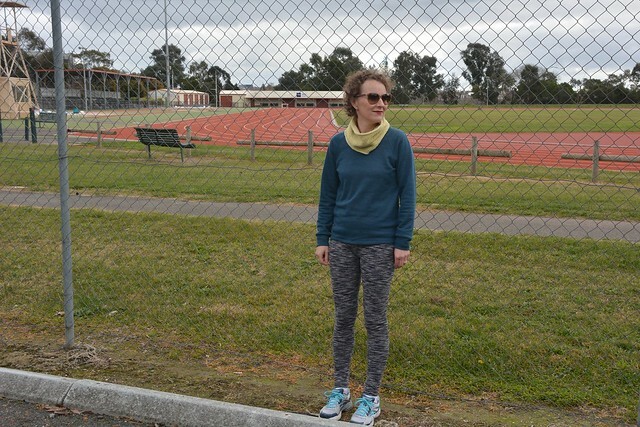 The Virginia Leggings are a quick sew as there are only two pattern pieces – a leg piece and a waistband. I love having the separate waistband as it allows you to thread the elastic through, pin it in a loop, try the leggings on and adjust the elastic for comfort. How fabulous is this fabric? 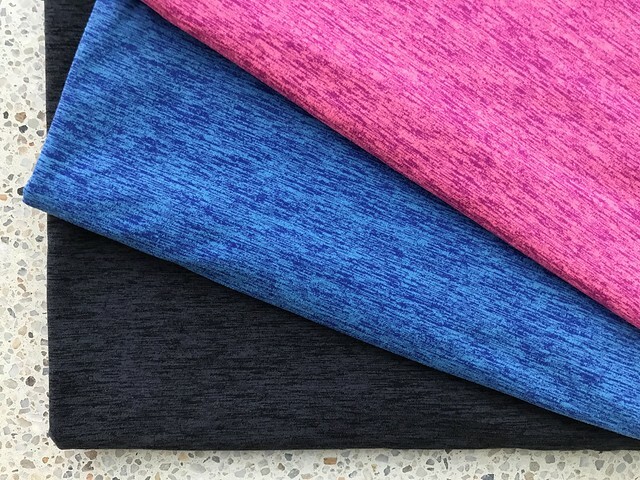 With great recovery, wicking, anti-bacterial and odur-free properties, it’s not surprising it’s commonly used for activewear, dancewear and sports bras. This fabric was a birthday gift from the lovely Sarah last year (yes, I’ve been hoarding it since September!) but I’ve sourced (and purchased) like from Sew Squirrel recently. Best laid plans of mice and men! Oh well, the leggings are still great despite the fact that your location plans were foiled. I’m embarrassed to admit how much money I pay for leggings, knowing I could sew a custom fit for a fraction of the price! Alas, that time will come again. In the meantime, I have been knitting and this Honey Cowl was on my list last winter but then I got cowl-ed out. I think I will return it to my project list! I’m a firm believer in ‘all in good time’ Sarah Jo. We’re having an OS holiday in Sept and I think I might take a Honey Cowl as (one of!) my holiday knitting projects! Check out those pins! 😉 glad you love your strides, that fabric washes and wears so well, it rates very highly in my cost per wear world of economics! The fabric is dreamy. Thanks for my thoughtful gift. And a big yes to the cost per wear statistics. Never say never… but I think I’ll stick to yoga at the moment. 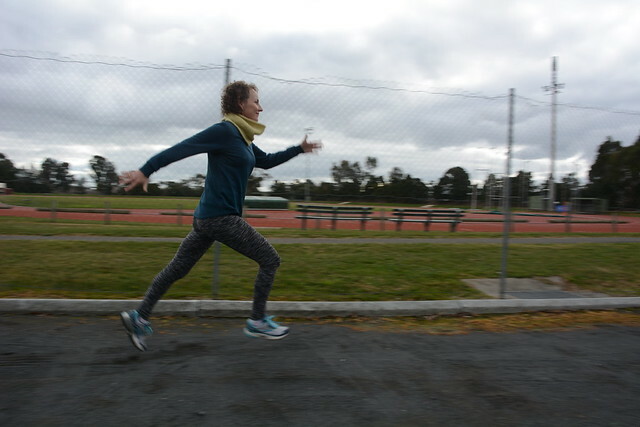 Ha ha, I love your commitment to blog photo shoots! Nice job on the leggings. The commitment is very high… sometimes I even day dream about blog photos shoot locations while I’m planning or sewing a garment. I totally get the locking the gates thing… and if they were open then it would have been full of people, and believe it or not, I can be a little camera shy! 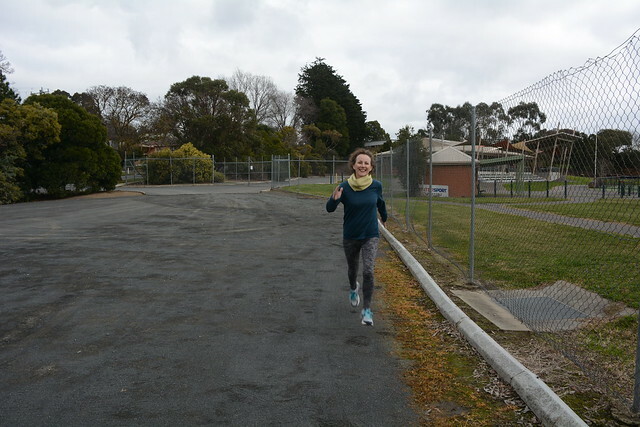 The car park was the happy median… and it made for a good story. Leggings are a quick and satisfying sew, I highly recommend them. Action shoots are lots of fun! 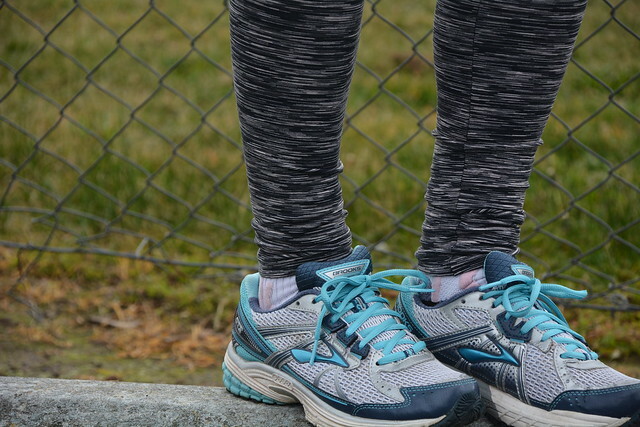 These leggings are so comfy and yes, it’s nearly impossible to choose just one colour!